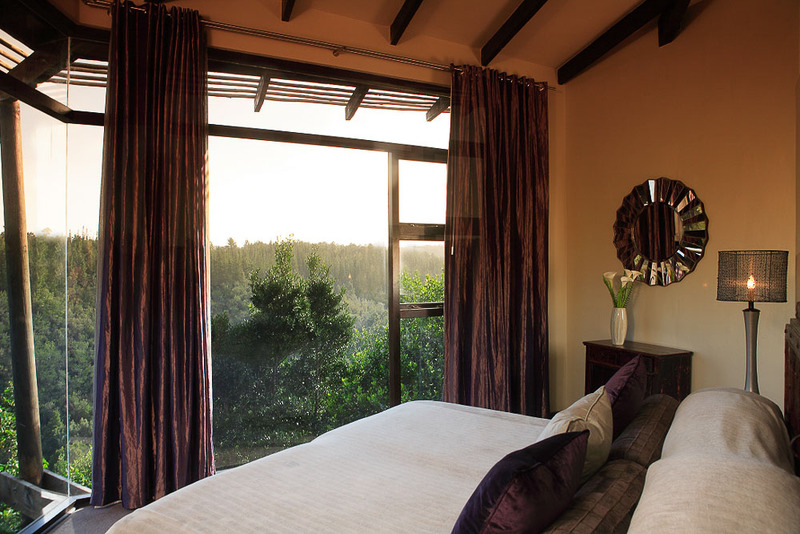 Great view of the Garden (Route): Madison Manor Boutique Hotel. Infinity in the canopy: Tsala Treetop Lodge villa, high above the Garden Route. 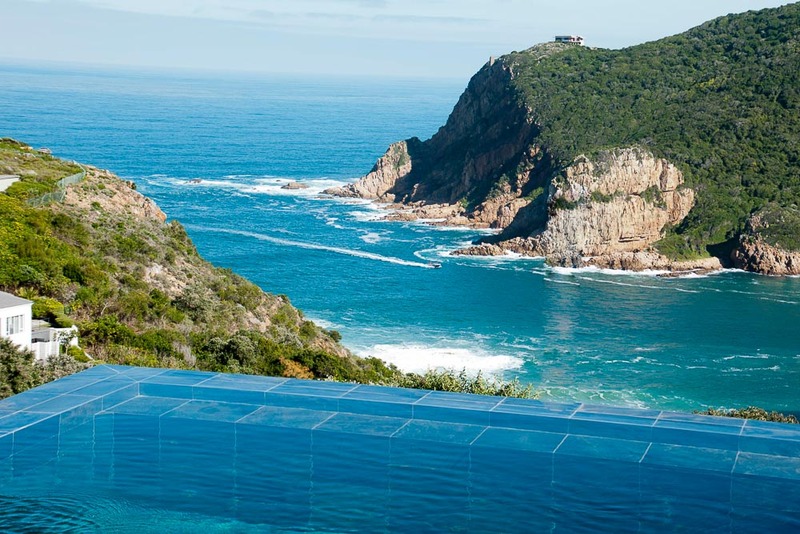 Survey the beautiful yet treacherous heads from Mount Knysna Boutique Hotel's heated infinity pool. Packwood Wine Estate is a low-key accommodation option on the emerging Plettenberg Bay wine route (photo: Steve Madgwick). A taste of life in South Africa's township; Wandu in Khayalethu on the Garden Route. 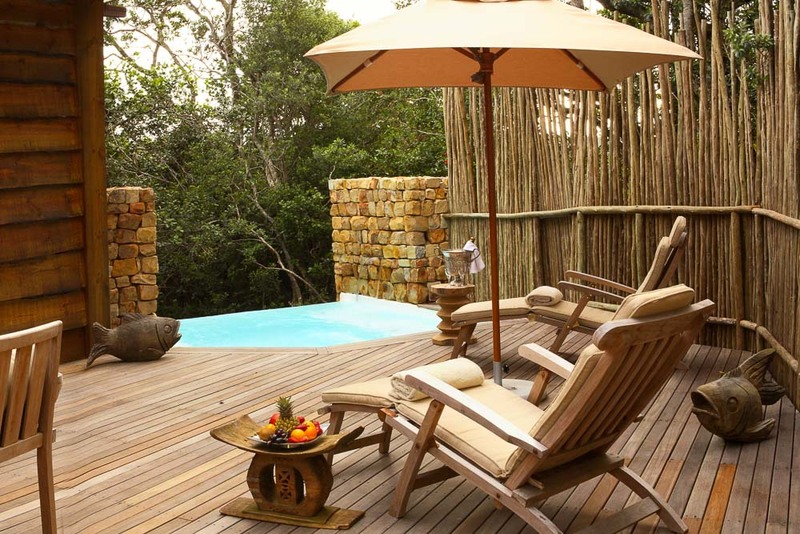 A night on top of the forest: Tsala Treetop Lodge, on South Africa's Garden Route. 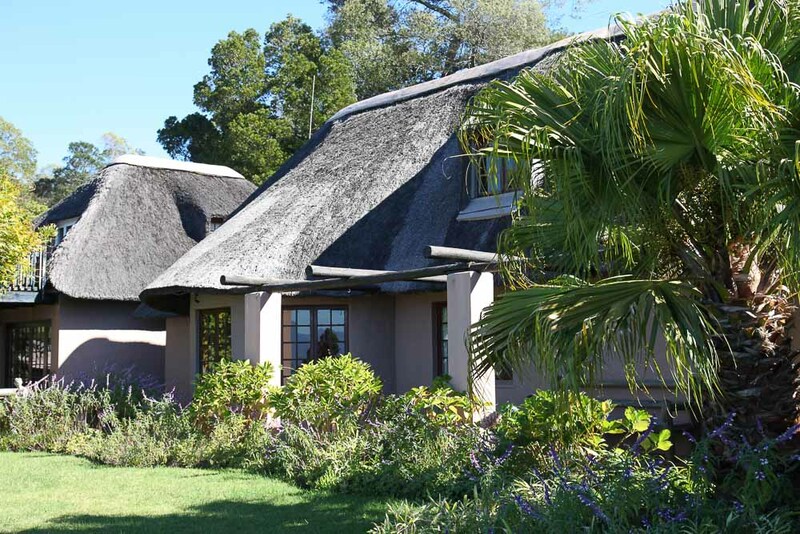 Madison Manor Boutique Hotel: A newish Garden Route project that nails Old World. In the trees, on the hills, with the vines or at the beating heart of a township; these hotels and homestays along the glorious Garden Route will show you South Africa at its finest, writes Steve Madgwick. 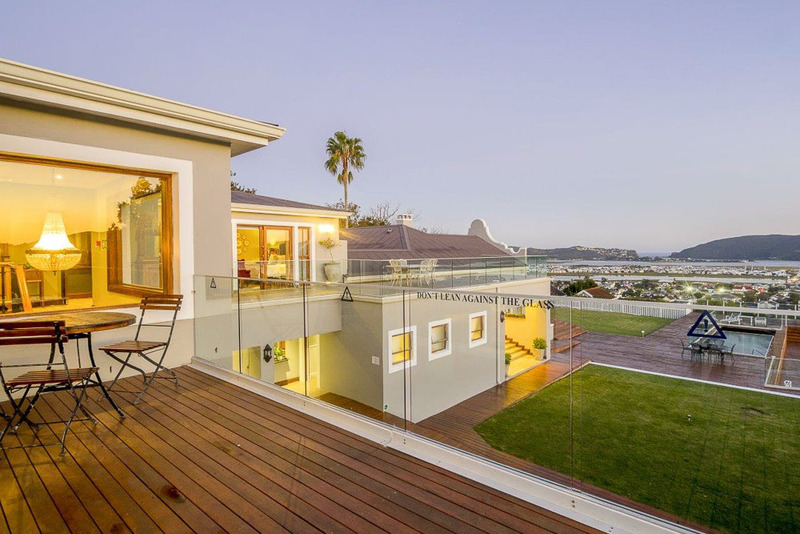 Quaint seaside towns surrounded by impenetrable bush, dotted along the contours of the hills and valleys of a coast-hugging road that meanders over low-lying bridges which span large lazy lagoons… welcome to the Garden Route, where South Africa’s barren Cape gets a luxurious perm. The Garden Route technically spans all the way from just outside Cape Town eastwards towards Port Elizabeth, but its sweet spot is the couple-of-hundred-kilometre stretch where it meets the coast, from Mossel Bay to just past Plettenberg Bay. Hidden away from the towns here, in the hills and hinterland, perched on the cliffs, are some of the most luxurious, curious, unique and decadent stays on the whole of the African continent. These five will blow your mind (and maybe your budget) – but they’re all worth it. At first sound, a ‘treetop lodge’ sounds like a euphemism for a tacky family holiday resort, but be assured that five-star Tsala is the furthest thing imaginable from that. Its 10 treetop suites and 6 treetop villas sit (on stilts) on top of a valley strewn with some of the oldest indigenous forests in South Africa; 50-metre-tall yellowwoods, ironwoods and stinkwoods (no they don’t really smell). The stacked-stone, wood (rough and finished) and glass structures are full of distinct, character-filled spaces that allow you to appreciate the woods from a plethora of tranquil angles. The ‘afro-baroque’ décor inside is very ‘busy’ but ultimately works, thanks to the mix of harmonising earthy natural tones and bold local crafts thrown in here and there. The (Charlotte Rhys stocked) bathroom is more like a bath precinct with a copper-tapped stand-alone bath and both outdoor and indoor showers (if you don’t like the monkeys watching). Even the loos have a valley view. A forest-facing private infinity pool on the deck outside and large ceramic combustion stove in the sitting room help to basically season-proof Tsala. For dinner, it’s a tranquil (but fairly long) forest walk along the low-lit boardwalk to Zinzi restaurant, for a mix of tapas and modern African fine dining fusion. Except for the not-quite-lightning-quick complimentary wi-fi and the bafflingly complicated light switches, there are very few reasons to come down from the trees. Madison Manor markets itself as ‘Old World’ and pretty much lives up to that hype. Which is quite the achievement, considering the five-star property in its current incarnation is only two years old. The grand hilltop building’s Cape Dutch exterior is skirted by generous wooden decks, a nod to the local wood chopping industry of times past, plus sprawling manicured lawns. Inside, Madison is like a museum of South African antiques that you’re not afraid to use and touch; plop down on your room’s vintage chaise longue, and wander around admiring a trunk collection to behold and the serving dish lids turned corridor installation. Have a chat with ultra-friendly chef Leonard as he cooks your breakfast to order while you marvel at the brass kitchen scale collection on the dining hall’s buffet. You may think that a $20-per-night room without an ocean view will struggle to compete with these heady five-star stars. But, in this case, you would be wrong. Of course, the accommodation at Wandu in the township of Khayalethu (population 35,000) does not come with just about any of the five-star bells and whistles (although it’s perfectly charming, clean and comfortable). But as a cultural experience this is six-star. Host Mawande and his delightful family invite you into the home (bedrooms are separate from their converted government house) with open arms. 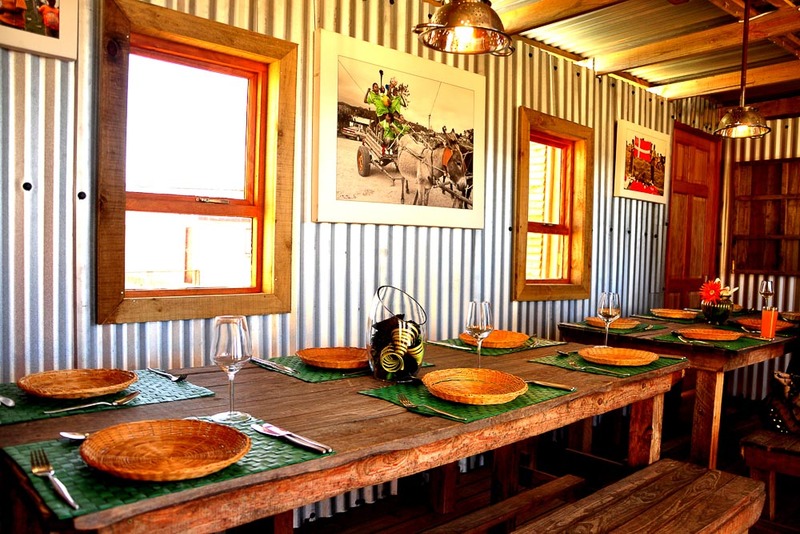 Try some Xhosa fare (pap and chakalaka), sample some umqombothi (local beer), and take a tour through the town’s (12 metre by 12 metre) ‘Mandela homes’. The reality is that this is exactly how the majority of black South Africans live, yet very few tourists get to experience it. As Mawande says, “it’s not perfect yet, but this is the next generation of South Africans” and most locals are happy that tourists get to see their way of life “with [their] own eyes”. Keep an eye out for the ‘Township Big 5’ (goat, chicken, pig, cow and dog). All this for about $20 a night, including breakfast. 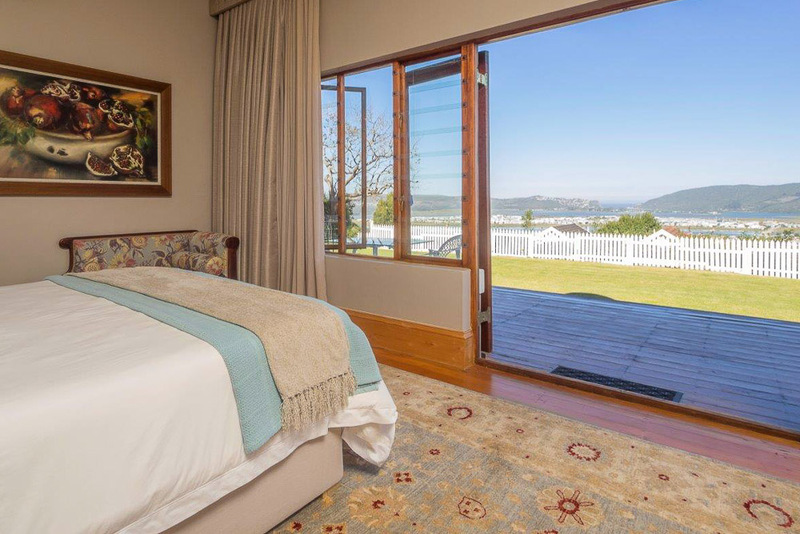 The Mount Knysna does boutique to the letter: personal, small, thought-through quiet spaces. Perched high up on Knysna Heads, from the heated infinity pool, you can reflect on the shipwrecks lying in Davy Jones’ Locker of the beautiful yet treacherous waters far below the cliffs. This place feels homely because it once was one (a luxury home), which means the setting feels a little ‘suburban’, the neighbours a little closer than usual; plus it’s a little isolated from the nearest town (Knysna, seven kilometres away). But if you are happy in clifftop solitude, the Mount Knysna is your niche. The bar is so cosy you’ll end up talking tête-à-tête with anyone in there like an old friend and the cellar has plenty of distinctive South African wines hiding away; genuine triumphs such as the Meerlust Rubicon 1998, a bargain when you’re splashing out in rand. Mount Knysna’s pièce de résistance, however, is its private 12-seat cinema with business-class-comfy recliners to melt into. Movie marathon? South Africa’s Cape is renowned for wine regions like Stellenbosch, but the Plettenberg Bay wine route is not one of them – just yet. At Harkerville about 20 minutes’ drive west of Plettenberg Bay, Packwood Wine Estate is a small-scale example of a burgeoning, diversifying region which boasts 18 producers; only a few of which offer accommodation at the moment. The quaint ‘little’ 500-hectare property was (and still is) a dairy farm, but co-owner Vicky has put a lot of effort into Packwood’s cool climate wines; obvious, once you indulge in a glass of the pinot noir. The self-contained thatched-roofed cottage (for two) or house (maximum six) are ideal not just for peace and quiet but also as a home base for cyclists and walkers, as there is plenty of forest to play in nearby. You’ll mostly have to self-cater, but there are creamy cheese platters and light lunches available. 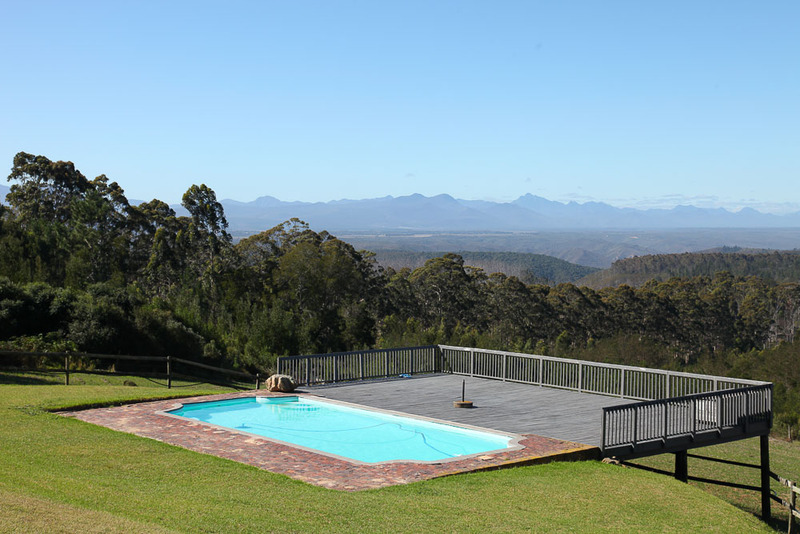 The views across the jersey-cow-dotted fields to the Tsitsikamma mountains sell Packwood as much as anything. If you are lucky, you may spot a troupe of baboons (who think the vineyard is like a “sweetie shop”) or, less likely, one of the leopards that sometimes lick their lips over the plump cows.